There have been some great advancements in technology for the home, for example you can now build your smart home, or take a look at Home karaoke machines have come a long way in recent years. The technology necessary for a high quality karaoke machine has gotten more accessible and cheaper, so it’s pretty easy to find a fantastic home karaoke setup at a reasonable price these days. Many of these units are almost as good as professional karaoke setups in terms of audio fidelity, storage, and so on, so you know you’re getting the best possible bang for your buck with a good home setup. After extensive testing, we are extremely confident in recommending the Memorex MKS-SS2 SingStand 2 as the all-around best home karaoke machine. The SingStand 2 (or SingStand 3 if you want bluetooth functionality) boasts every feature you’d want in a home karaoke setup at an extremely reasonable price. The upright design makes your performances feel authentic, and the high quality speakers will fill your living room with crystal clear music. 2.1 What Does it Come With? There are a few important details you should consider when shopping for the perfect home karaoke machine setup. It might seem like all karaoke machines are the same, but that’s simply not true! Home karaoke machines run the gambit in terms of flexibility and immediate usability. By that, I mean some units come ready to go right out of the box, and others require a fair bit of work to get up and running. The main difference lies in the accessories and peripherals. Many home karaoke units require you to have a TV and audio system that you can plug the unit into. Without an A/V system, the karaoke machine is really just a glorified DVD player. Some home machines do come with their own screens and built-in speakers, but if you’re springing for a home machine you’re much better-off enhancing the experience with your own TV and speakers anyway. While most home karaoke machines come with at least one microphone, you should be sure to read the fine print to make sure you don’t end up with a machine but no microphone. Lastly, make sure you know what kind of input/output set up you’re dealing with. Plenty of karaoke machines operate using the standard RGB connectors, but there are also versions today that make use of HDMI or digital audio connections as well. No matter the type you get, it’s important to make sure it will be compatible with your home equipment. There are some very large price differences out there when it comes to home karaoke setups. You should plan accordingly: If you’re an experienced karaoke enthusiast looking to upgrade your setup or buy a new one, you’re completely fine starting your search towards the upper end of the pricing spectrum. If you’re new to karaoke or buying as a gift for someone else, there are hundreds of awesome options towards the lower end of the price scale as well. Performance will be fairly standard through all price ranges, and you’re almost always paying instead for build quality, software, storage space, and so on. This is where you have to plan ahead a little – there are a whole host of options out there for you to pick from. Do you need a karaoke machine that can handle multiple microphones at once? What about one with removable or expandable storage so that you can maximize your song offerings? Do you want to be able to download songs directly from the Internet, use a USB drive, or use a CD drive? Does the machine require any sort of special, non-standard audio format? These are all questions you should keep in mind when shopping for the perfect home karaoke machine! We started out with 20 units in order to narrow it down to these final 4 contenders. This is the big one for most karaoke machines – what’s the point of singing if the music you’re singing along to comes out tinny, crackly, or muffled? If the karaoke setup came with it’s own speaker, or had an integrated speaker, that’s what we played our music through – if it didn’t, we graded the unit’s sound based on the quality it output through a run-of-the-mill set of external speakers. Hissing, or sound feedback, is often apparent at higher volume levels. It can be a real performance killer when you’re acutely aware of a constant “hiss” underscoring your music. Crackling or popping is usually indicative of a connection issue when streaming music through a smartphone or tablet. It might be the cord’s fault or the input jack’s fault, but it’s definitely a deal-breaker unless it can be resolved by replacing either part. Muffled or tinny audio is usually a result of poor speaker quality overall, and there’s no good fix for this type of issue most of the time. Luckily, none of our units suffered this particular audio issue. Our recommended home karaoke machines all passed our rigorous sound quality checks, and don’t suffer from any of the above issues. Non-professional karaoke machines are notorious for shipping with sub-par microphones, which struggle to pick up your voice, break down easily, or otherwise detract from your karaoke experience. Shoddy microphones aren’t always a deal-breaker because you can typically buy a third-party replacement microphone that’s compatible with your karaoke system. Still, having to do so is annoying, frustrating, and sometimes costly. Our recommended home karaoke setups all shipped with microphones that met our minimum mic quality requirements, although some may be better or worse than others. We didn’t need to buy replacement mics for any of our recommended units while testing them. Home karaoke setups can often get away with being a bit more fragile than your typical consumer electronic, just because you don’t need to fiddle around them them much after the initial setup. That being said, no one want’s a poorly-constructed karaoke machine. We graded our 20 test units based on their level of sturdiness, the quality of the materials used in manufacturing, and how they held up in transit. We took each of these karaoke machines on a 20 minute car trip, leaving each one unstrapped in the trunk. Our recommended units all passed our build quality tests with flying colors, and stand unscuffed, unscratched, and uncracked to this day. Memorex really hit a home run with the SingStand 2 (and SingStand 3)! It does everything a good home karaoke setup should do – it’s easy to use, it’s compatible with current technology like iPhones, tablets, and other smartphones, and it’s affordable. There are plenty of good karaoke machines out there, but they’ll all hit your bank account where it hurts. The modest price tag on this model makes it a surefire winner for home users everywhere. It doesn’t have a built-in screen for lyrics, but it does plug right in to any TV or monitor set up out there – you can also hook it up to external speakers if you have a dedicated home audio system that’s better than the built-in speakers. Memorex also included an additional microphone jack, as well as a hookup for other instruments. That feature really does elevate this product from “cheesy karaoke machine” to a fantastic all-around home audio solution – plug in your electric guitar, hook up a microphone, and put on a show for the whole family! If you’re looking for an all-in-one karaoke system that’s ready to go straight out of the box, we wholeheartedly recommend the Singing Machine iSM1030BT. It’s truly the full package – you get a crystal clear built-in screen, two powerful peripheral speaker towers, and two microphones included for those soulful duets. As long as you have a wall outlet to plug it into, you don’t need anything else to get started with the iSM1030BT. Add some other cool features into the mix – bluetooth capability so you can play whatever music you like directly off of your phone or tablet, USB recording functionality, and more – and you can’t beat this Singing Machine in terms of sheer functionality. It does have your standard inputs and outputs as well, so you can definitely hook it up to existing audio/visual equipment should you decide to do so. If you’re looking for a more affordable home karaoke setup, we have your back – take a look at the Karaoke USA GF839. You might be able to find some karaoke setups that are cheaper than this little guy, but nothing will match the quality you get dollar for dollar from the GF839. I’m honestly not sure how they were able to pack so many awesome features into this machine while keeping the price so low, but I’m not one to complain! This powerhouse unit comes with 2 microphones, a sharp 7″ built-in LCD screen for lyrics or videos, iPhone/tablet/smartphone compatibility, and a surprisingly powerful 35W integrated speaker. The entire thing is portable to boot – you’ll have absolutely no issues packing the GF839 up and taking it with you on vacation or to a friend’s house for some karaoke fun. The Singtrix karaoke system is the only set up out there that’s been featured on SharkTank (successfully! ), Ellen, and The View, and for good reason. The voice enhancing technology packed into this premium karaoke unit is absolutely unparalleled in the world of home karaoke machines. It’s very much on par with the functionality of super expensive, professional karaoke systems, which is why the Singtrix does come with a heftier price tag than most home systems do. The entire thing is custom-made to make you feel like the best singer in the world. You can pick from over 300 premium vocal effects, and the microphone itself has a “HIT” button on it that will bring your performance to the next level whenever you want. The self-described goal of the Singtrix is to “make bad singers sound good,” and I must say they do so with style. It’s easy to get confused when buying a karaoke machine, especially if you’re a home user who doesn’t necessarily know what to look for. That’s why all of our recommendations come with the Boxtiger Seal of Approval – we’ve done the testing so that you end up with the best setup for your specific circumstances. 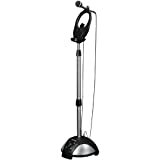 If you’re simply looking for the best home karaoke machine out there, you can’t go wrong with the Memorex SingStand 2. You’ll get all of your karaoke needs covered, and end up with some neat extra features as well. We scored it quite well across the board, from build quality to audio quality to versatility, and we’re sure you won’t be disappointed. Click here to check out our overall best karaoke machine list (includes professional units, portable units, etc that aren’t home machines)!